Giddy up! And start planning your Colorado dude ranch resort vacation! 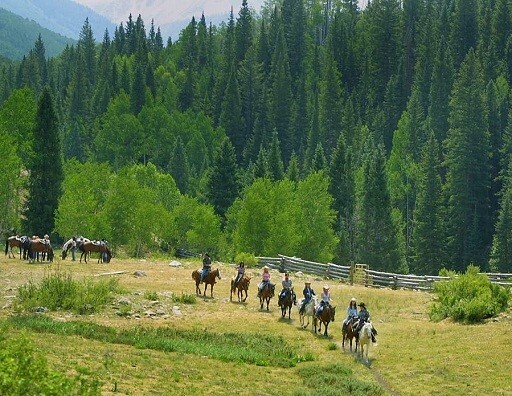 This page will help guide you to the perfect Colorado dude ranch resort. Lodging, Meals, and Daily Horseback Riding. Children & Teen programs, Evening Entertainment, Whitewater Rafting, Fishing on the ranch, Overnight Pack Trips, Cattle Round Up, and much more! Can’t stay for a full week? All CDGRA Ranches have a 5 out of 5 rating on Trip Advisor! Rates listed represent an adult all-inclusive daily rate during peak summer season (per person). It is based on double occupancy accommodations and does not include gratuity, taxes, and/or service charges. Actual rates may vary slightly and children’s rates are typically available. 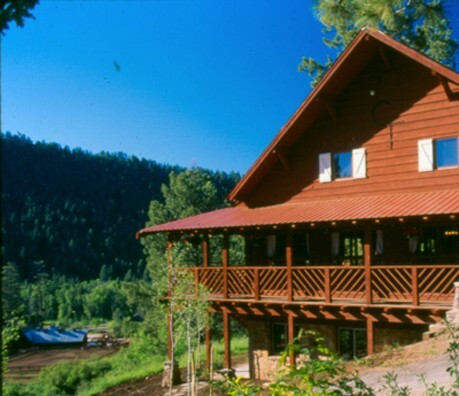 The Ranch at Emerald Valley is a luxurious, all-inclusive, Wilderness Experience. For couples, solo adventurers, families, and celebratory gatherings - the activities are endless and the memories will last a lifetime! These are working cattle operations. Your horseback experience will revolve around the ranch’s livestock and the work they require. Be prepared to experience hands on activities such as herding, feeding and checking the health of the cows on a daily basis. Relax and enjoy cow-boy hospitality in this authentic environment. Zapata Ranch, a 103,000 acre working bison and cattle ranch bordering Great Sand Dunes national park and the Sangre de Cristo Mountains, is owned by The Nature Conservancy and managed by Ranchlands. In the West, a brand is a symbol that identifies specific ownership of a ranch's livestock and horses. At Lost Valley Ranch, our brand not only marks our cattle, but extends to your experience as our guest. It’s our "Brand of Western Hospitality". 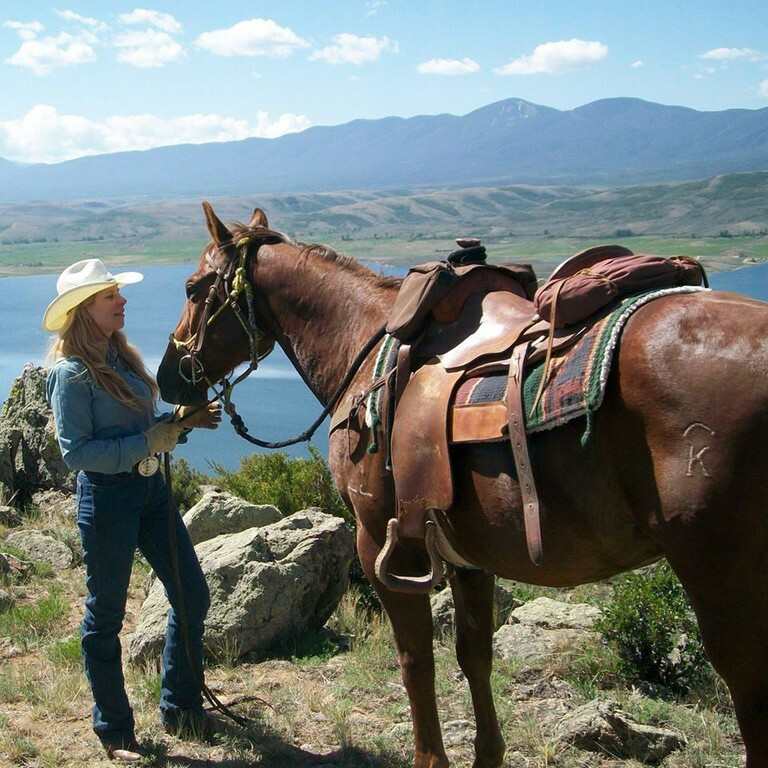 Colorado Trails Ranch is a fun filled vacation adventure. We are located near historic Durango. In addition to horseback riding, fly fishing and great food, kids and adults find a lifetime of memories with our wide range of day and night activities. Unique for spectacular location at 9600 feet, adjacent Brown's Canyon Monument. Excellent riding program, variety of activities, value, superb menu and intimate capacity. Families encouraged to spend time together. Adults-only offered in September. An all-inclusive vacation you have never experienced is waiting for you and your family at Cherokee Park Ranch! Fun activities, wonderful people and great food in a beautiful Colorado setting. Come experience a true Western adventure like none other. Since 1946. An authentic 3,200-acre working ranch an easy hour from Denver with the same altitude (5,280'). Outdoor adventures include cattle drives, overnight pack trips, fishing, rafting, trapshooting & more. 33 min. from Estes Park. We are a full service working guest and cattle ranch located in the heart of the Colorado Rockies between Vail and Steamboat Springs. Rather than a rigid schedule we offer activities in the most flexible way possible. Tucked away at the far end of the valley, where the Elk River flows, lies a Relais & Chateaux dude ranch. Offering year-round multi-sport adventures, horseback riding, Orvis-endorsed fly fishing, and cross country ski vacations made in powder heaven. Since 1954, we’ve been committed to serving guests with our hearts & our hands. Family-friendly & located in a majestic valley between two 14ers, we provide all the “out west” activities desired in a vacation that makes for lifetime memories. Fill your days with horseback riding, fly fishing, swimming or a lazy tube down the crystal clear Laramie River. Scrumptious home-style meals, evening campfires, cowboy songs, dances and charming western accommodations await. You deserve an escape! 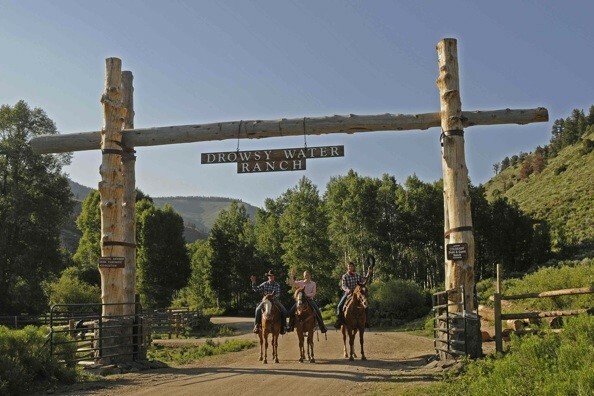 Colorado's Historic Rawah Ranch is an all-inclusive guest ranch located in one of the most scenic & unspoiled valleys in North America. 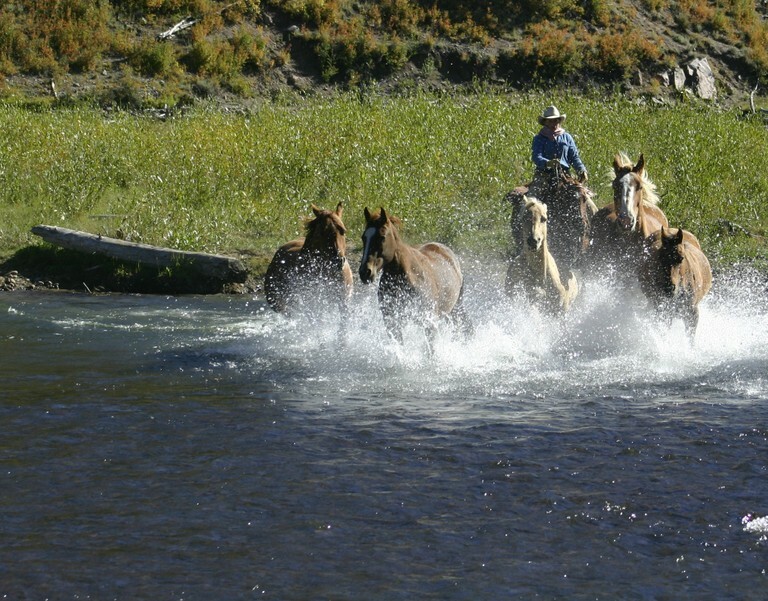 Experience spectacular fly fishing on private waters, back country horseback rides and authentic cowboy cookouts. Badger Creek Ranch is a working cattle ranch located at approximately 9000 feet in the high plateau of the Colorado Rocky Mountains. We offer an authentic western ranch experience with a maximum of eight guests at a time. Neighboring Rocky Mountain National Park and quaint Estes Park, Wind River Christian Ranch offers adventures for all ages. From horseback riding to zip-lining, kayaking to square dancing, we have activities designed to create lasting family memories! Vista Verde is a luxury ranch just outside of Steamboat Springs. 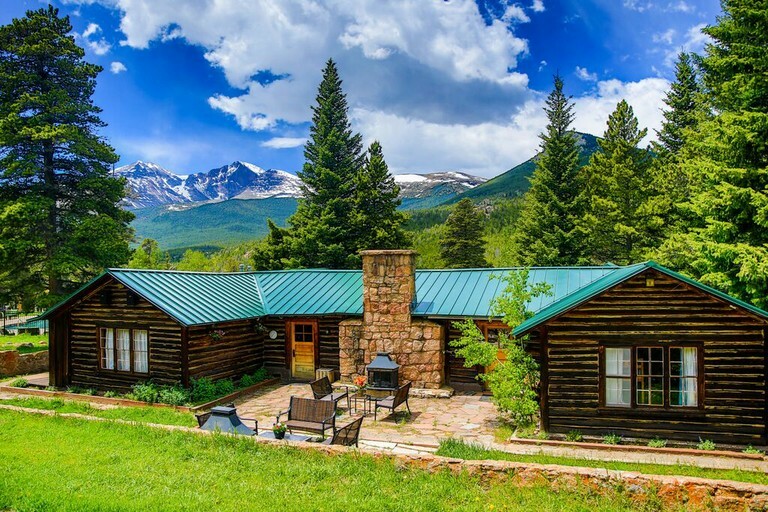 Spacious log cabins, amazing staff, fabulous dining, and a diverse offering of activities make it perfect for those who seek luxury but still want a laid back ranch vacation. The High Lonesome Ranch covers 400+ sq. miles stretching far away from civilization. It’s like your own private National Park. Every detail is carefully considered: contemporary western amenities & dining, experienced wranglers & personal attention. Opened in 1912, Bar lazy J is considered the oldest continuously operating guest ranch in Colorado. 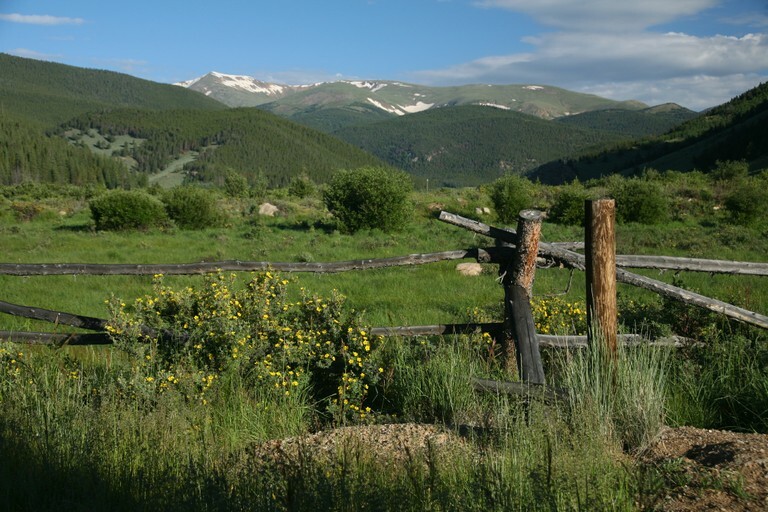 We believe our ranch to be ideally located just southwest of Rocky Mountain National Park and nestled in a peaceful valley along the Colorado River. A family-oriented guest ranch nestled high in the pristine wilderness of the San Juan Mountains and just 35 minutes from Durango, CO. 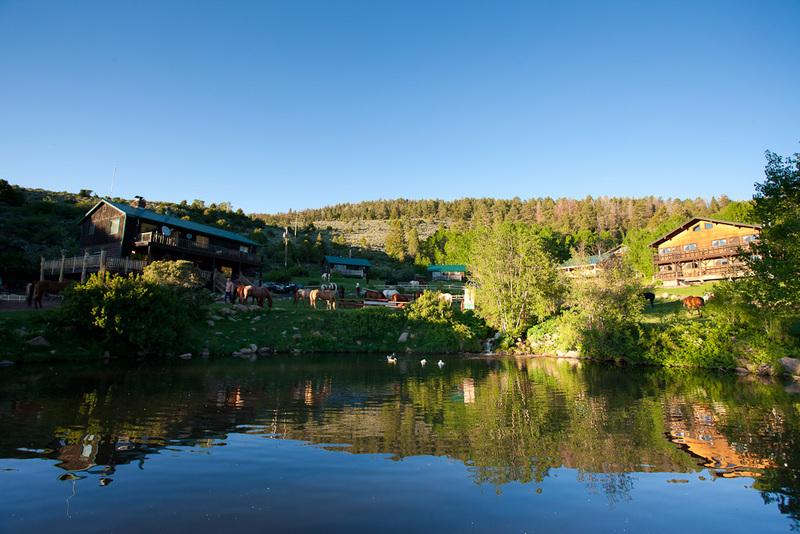 The Majestic Dude Ranch offers our guests a home away from home in the Colorado mountains. For over 90 years DWR, nestled in its own private mountain valley has been providing folks and families from around the world with authentic Western vacations. We offer nothing less than real down home hospitality in a family atmosphere for all ages. Views that rattle your spurs. 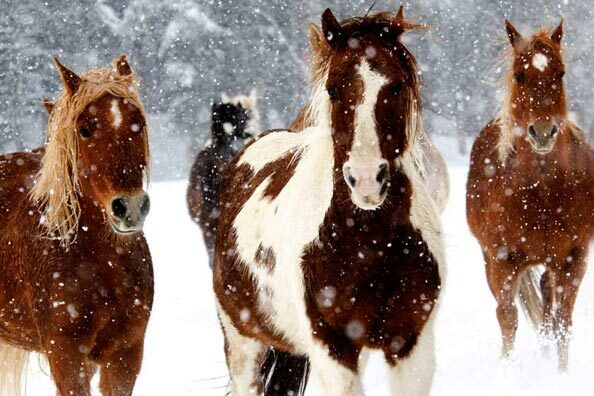 Horses you'll want to take home. Meals that make you want to adopt the chef. Staff you grow to trust as friends. They combine to give Latigo that perfect sense that you have finally found home. Come spend a week with your family enjoying excellent food, beautiful riding, fun-family activities and outstanding programs for babies, kids and teens. Tumbling River has a long-standing tradition of friendly staff and the most activities. Glorious scenery, exceptional riding, fishing, kids’ programs, teen programs and the RTR brand of western hospitality that keeps our guests returning time and time again. Adults only in September. Spend a week, take home a lifetime of memories!